Pain And Suffering At Life's End Are Getting Worse, Not Better : Shots - Health News Despite considerable effort to improve care for people who are dying, more people are reporting pain and depression, a study finds. Medical treatments that lengthen the process may be one reason. A lot of time and money has gone into trying to improve end-of-life care. It's been more than 15 years since the Institute of Medicine released its seminal 1997 report detailing the suffering that many Americans experience at the end of life and offering sweeping recommendations on how to improve care. But the number of people experiencing pain in the last year of life actually increased by nearly 12 percent between 1998 and 2010, according to a study published Monday. And the number of people with depression in the last year of life increased by more than 26 percent. 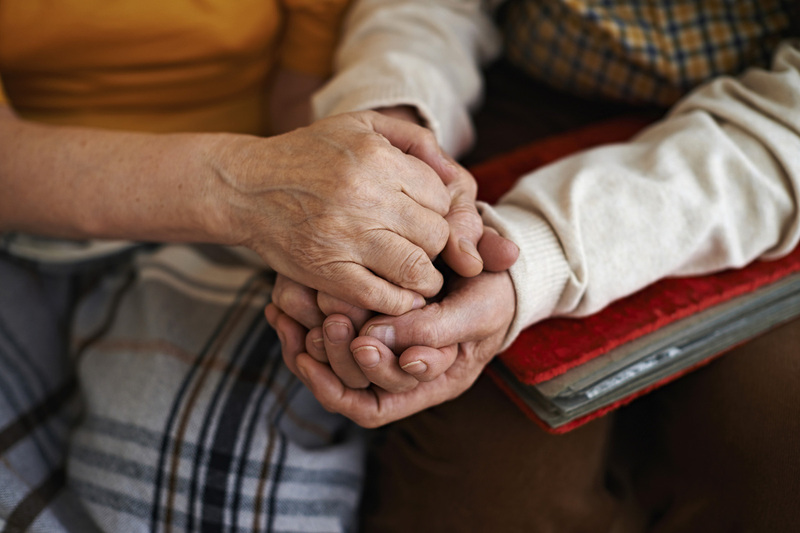 All that happened as guidelines and quality measures for end-of-life care were developed, the number of palliative care programs rose and hospice use doubled between 2000 and 2009. "We've put a lot of work into this and it's not yielding what we thought it should be yielding. So what do we do now?" asked Dr. Joanne Lynn, a study author who directs the Center for Elder Care and Advanced Illness at the Altarum Institute. The study looked at 7,204 patients who died while enrolled in the national Health and Retirement study, a survey of Americans over age 50. After each participant's death, a family member was asked questions about the person's end-of-life experience, including whether the person suffered pain, depression or periodic confusion. Those three symptoms were all found to have become more prevalent over the 10-year analysis. One reason, Lynn said, is that doctors are using a greater range of high-tech treatments, which can lengthen the process of dying without curing the patient. "We throw more medical treatment at patients who are on their way to dying, which keeps them in a difficult situation for much, much longer," she said. "We've increased the number of people put on ventilators and kept in hospitals, and we simply have more treatments that are possible to offer." Medical research focuses on wiping out diseases, Lynn says, rather than on long-term support or symptom management for people with chronic conditions or disabilities associated with aging: "Think about how much we invest in curing Alzheimer's disease, and how little we put into making the course of Alzheimer's better." Most physicians tend to undertreat pain and other symptoms at the end of life because they don't recognize them or are hesitant to candidly talk about the process of dying and the pain associated with it, said Dr. Tim Ihrig, a palliative care physician at UnityPoint Health in Fort Dodge, Iowa. "A lot of practitioners aren't honest. We fail to empower patients with the truth," said Ihrig. "In that setting, it's easier to continue to do procedures and diagnostics rather than having that conversation which is very honest and very difficult." Often, those conversations aren't happening until the last days or hours of life, according to Ihrig. "If these patients had been under the care of a hospice or palliative care program [earlier], their pain and symptoms could have been brought under control for a much longer and sustained period of time," Keyserling said via email. It's possible, however, that caregivers interviewed in the study simply were more likely to report suffering, reflecting Americans' changing awareness of pain and depression over the past decade. "We've raised the expectation of better pain management over the years, which may make [the caregivers interviewed] more likely to report it," says Rosemary Gibson, author of The Treatment Trap and a senior advisor at The Hastings Center, a bioethics think tank based in New York. There are many more Americans diagnosed with depression today than in 1998, she added, "So it's not surprising that people would report it more." Nonetheless, said Gibson, the country has a long way to go in improving care at the end of life. The increase in palliative care and hospice use over the last decade was just "an oasis in the desert. We did nothing to stop the tsunami of overuse [of aggressive treatments] and doing things to people at the end of life that have no benefit." It's time to pick up the speed of change, said study author Lynn. "We are all going to pass through this part of our lives, and we have a strong interest in its not being awful. So let's buckle down and get it right."